(Sporting Alert) — No. 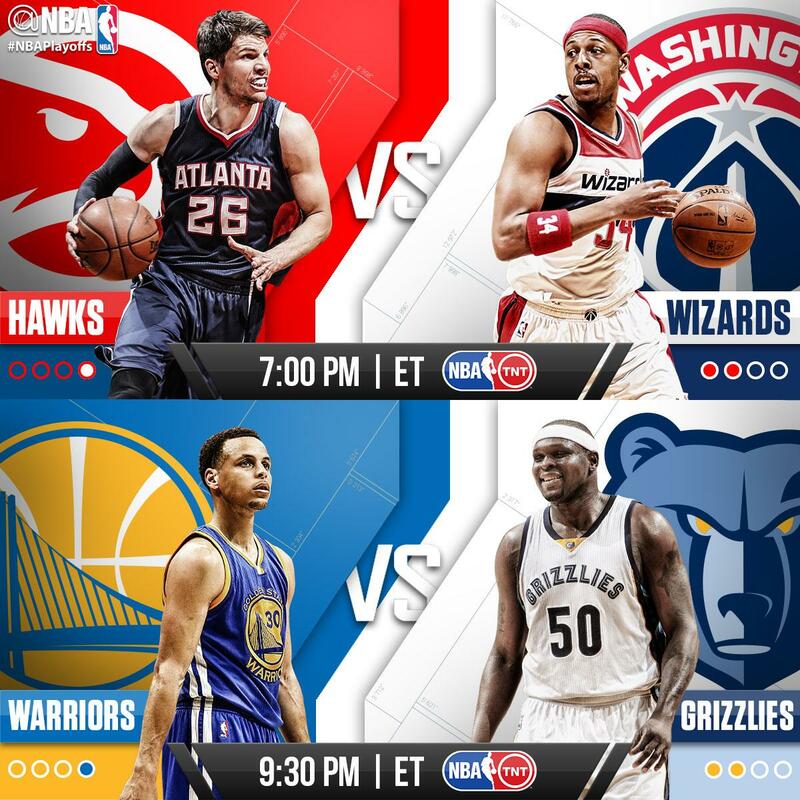 1 seeds Golden State and Atlanta are both trailing in their respective NBA playoffs series but will get the chance to even up their battles on Monday night. In the Western Conference semi-finals, the top overall seed Warriors are trailing Memphis 2-1 and will need a strong performance in Game 4 to avoid another beat-down against a very confident Grizzlies side. Golden State was ranked No. 1 during the regular season in points per game, at 110, but has been held for under 100 points in the last two games, which they failed to win. All eyes will again be on the reigning MVP Stephen Curry to see if he can deliver a star-studded performance and help his team even the series. Curry, who is averaging 28.4 points per game, scored 23 points in Saturday’s defeat, but was only 8-for-21 from the field and 2-for-10 from three-point range. He thinks this is the perfect time for people to step. Draymond Green will also be hoping for a better outing on Monday night, after committing five turnovers and scored just six points in the 99-89 defeat the last time out. 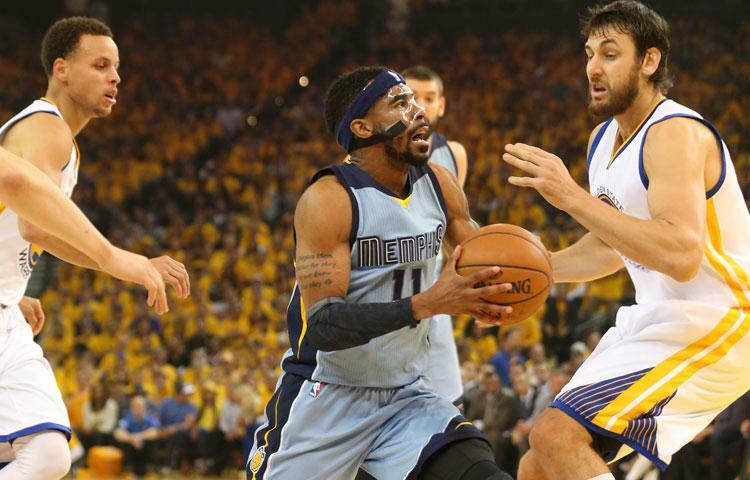 At the same time, however, the Grizzlies have promised to keep doing what they have been doing for the last two games. That is, continue playing strong defence and keep frustrating the likes of Curry, Klay Thompson, Green and Andre Iguodala. The return of leading point guard Mike Conley, who scored 11 points in Game 3, has also brought some comfort for Memphis in their ball handling, which opens up more opportunities for Zach Randolph, Marc Gasol and Jeff Green. Like the Warriors, the Hawks are also trailing 2-1 in their Eastern Conference semi-final series against the Washington Wizards, who were without John Wall for Game 2 and 3. Wall has been listed as a game-time decision for Game 4 against Atlanta on Monday because of a wrist injury, but it is highly unlikely that he will feature. According to John Schuhmann of NBA.com, the All-Star point is still to dribble a ball since his problem so it wouldn’t make sense for him to play. It took a buzzer-beating game-winner from Paul Pierce to lift the Wizards to a 103-101 victory in Game 3 at the Verizon Center after Washington blew a 21-point lead. There have been a few murmurs about who should have been on the court for the Hawks during the last possession of the game, but head coach Mike Budenholzer wasn’t too worried about that. He is only focusing on getting his team ready for a crucial Game 4 in the nation’s capital.